It's time to share some exciting photos with you today! 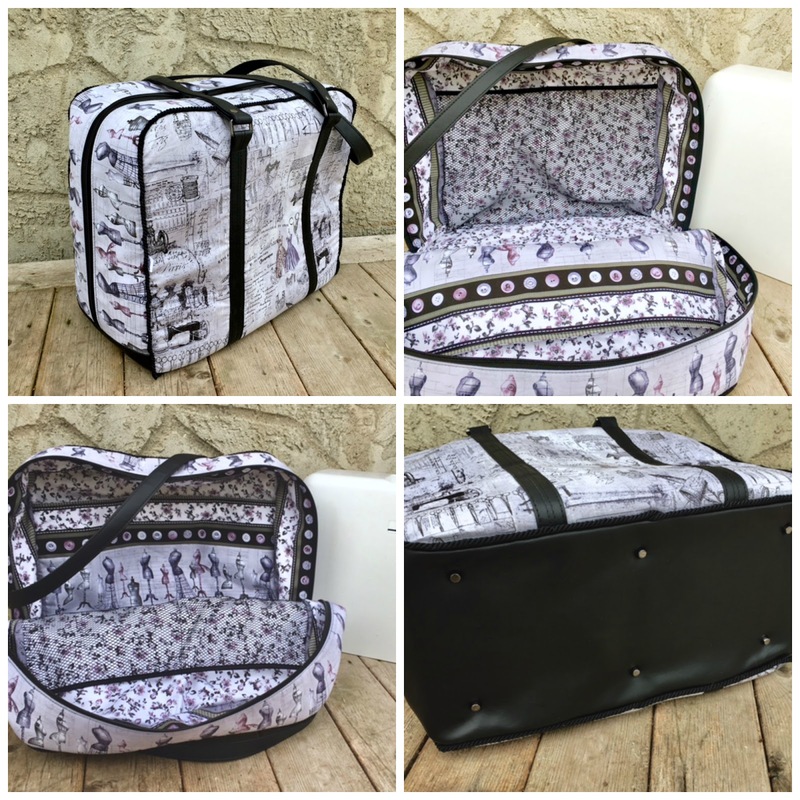 A few days ago I released my Machine Bag pattern so today it's time to start showing you some of the testers' pics! 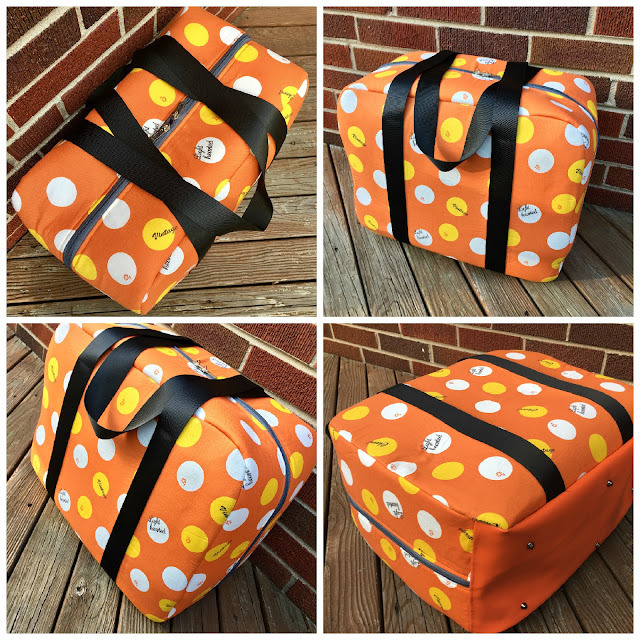 Tara made her bag in monochrome and used chunky piping around the outside. I love her fabric choices, her bag looks fab! 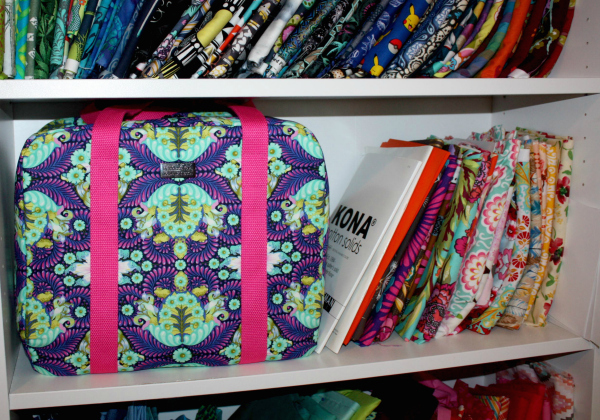 Amy used this fun Tula Pink print with contrast hot pink webbing for her Machine Bag. I love to see it styled with the fabric in her stash, it's perfect! 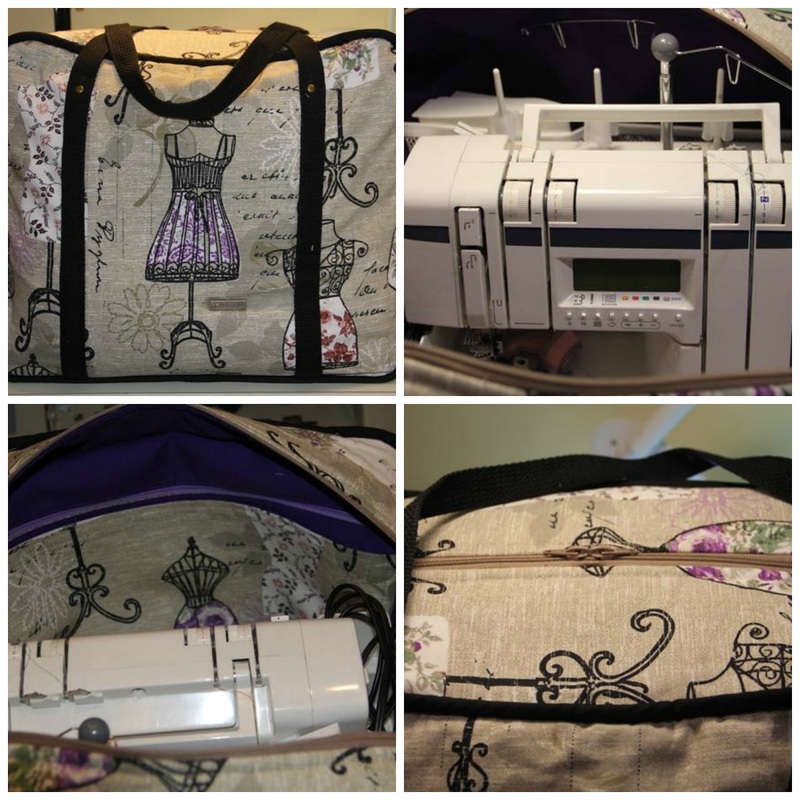 Christine made a few edits to her pattern adding some fun hardware and a very clever fold up pocket to hold her machine needles. It looks great! Cyndi managed the most precise sewing on her Machine Bag, the black contrast handles really pop, and the bag looks fab! 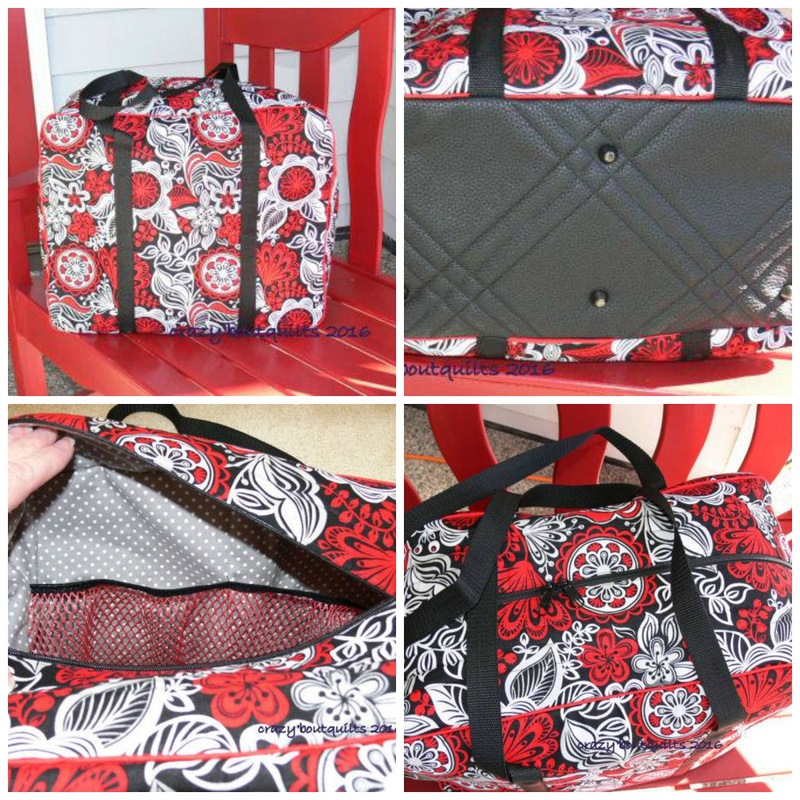 Sandie added some fun quilting to the base on her machine Bag and used narrow red piping around the main panels. 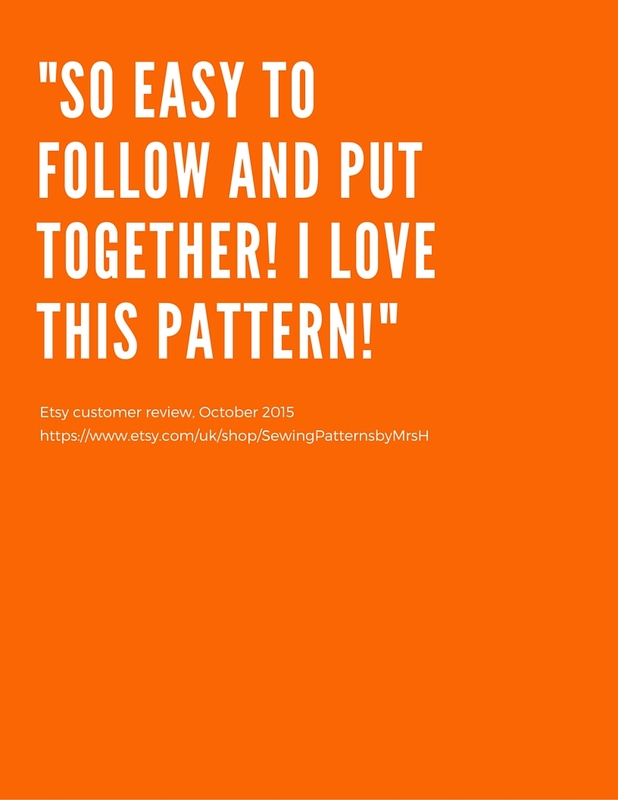 Check out her perfect pattern matching on her zip gusset! Jayne also wowed me with her pattern matching across the zip, it's perfect, and this fabric print is spot on for a machine bag! Jana really embraced the brights of spring with her bag with this beautiful combination. She also split her handles and added hardware. It's a great way of adding bling! Pat used my favourite colour for her webbing handles and added a fun contrast print zip pocket. 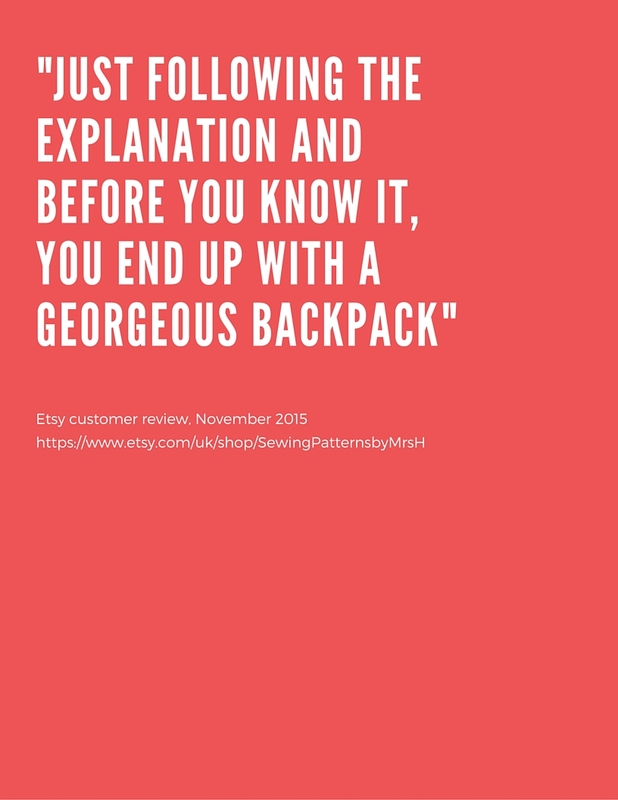 The pattern doesn't include instructions for the pocket, but you could easily add one from the free Sling Bag pattern, just adjusting the measurements to suit. 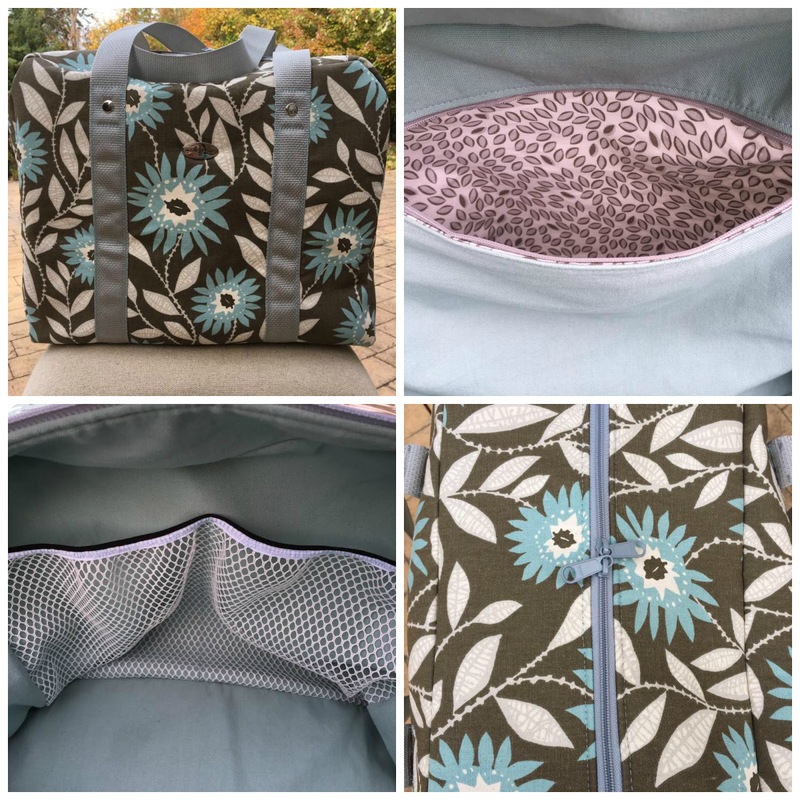 Rochelle used this gorgeous leaf print fabric for her Machine Bag and matched it perfectly with this contrast khaki webbing. 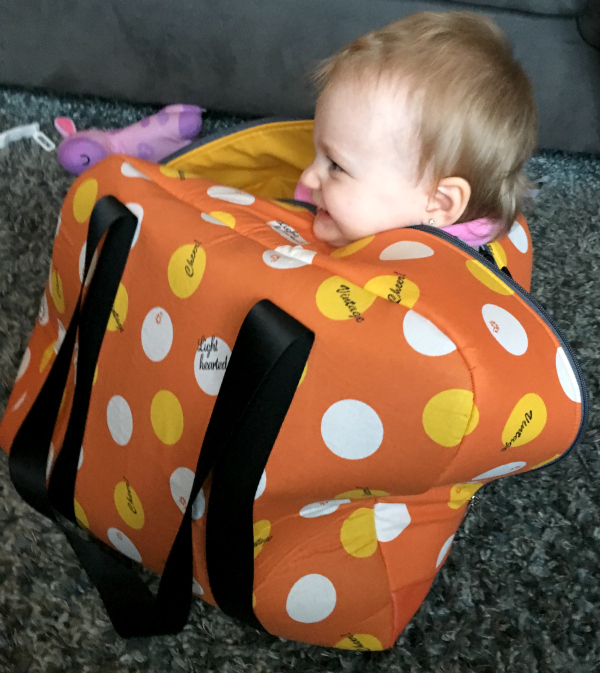 I love the pop of the zip against the lining! 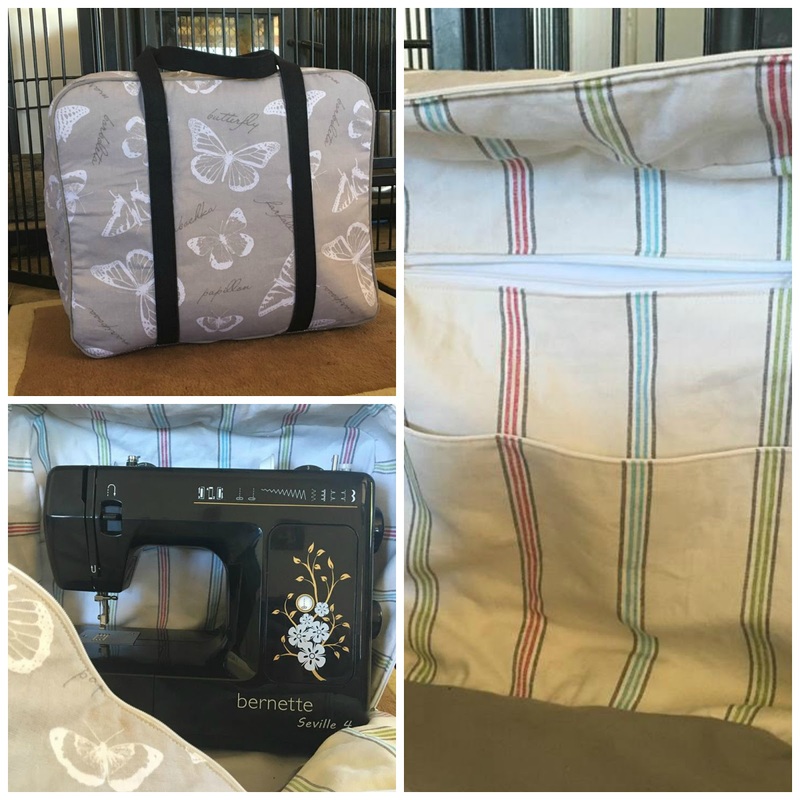 Madison shows us how perfectly her machine fits in this bag, there's even room for your current project to fit in there too! Great work Madison! Once again I'm blown away by my testers' versions of this pattern. They had to keep it under wraps for such a long time with the long planning involved with the bag retreat, but they all did so well. I wonder if they can teach me some hints to help hide my fabric purchases better?! If you want to make your own Machine bag, the pattern is available to buy now in my store, or as part of the Retreat Pattern Bundle. 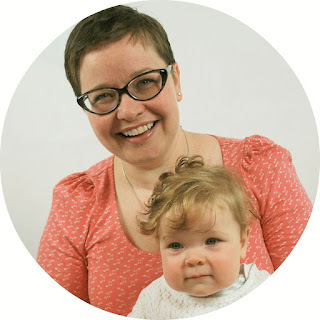 I can't wait to see what you make! 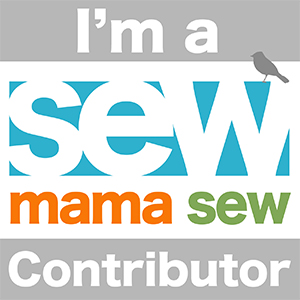 Is the pattern adjustable for different size machines? Mine has a 8.5 inch throat... Thanks! Any luck with selling printed patterns yet? 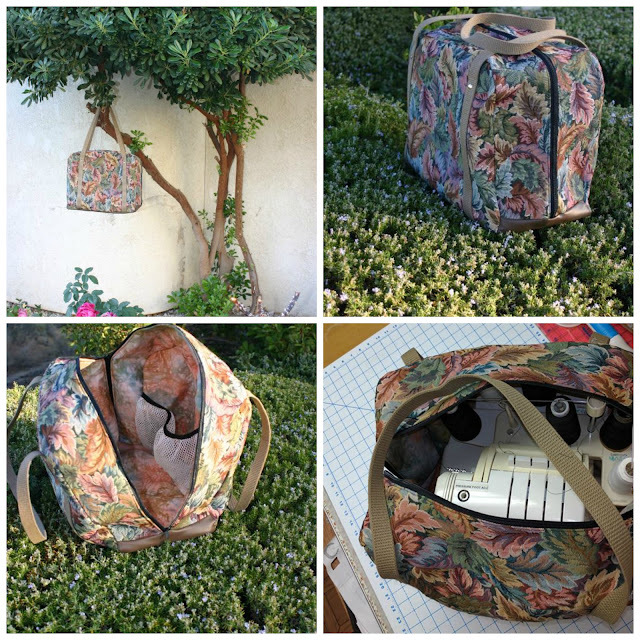 Only I think a quilted version of this would go down well at our local patchwork & quilting shop, especially as they do a lot of workshops where they could show off their bags when they took their machines in! 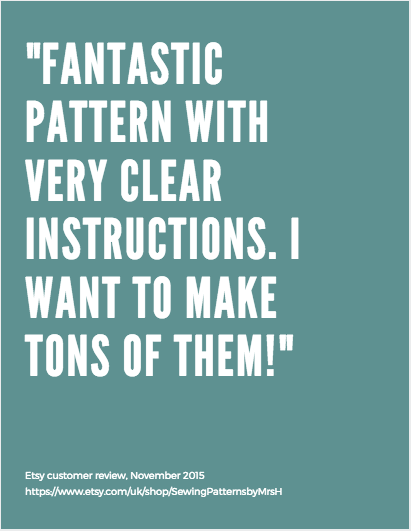 It would need to be a printed pattern though so the shop could sell it.